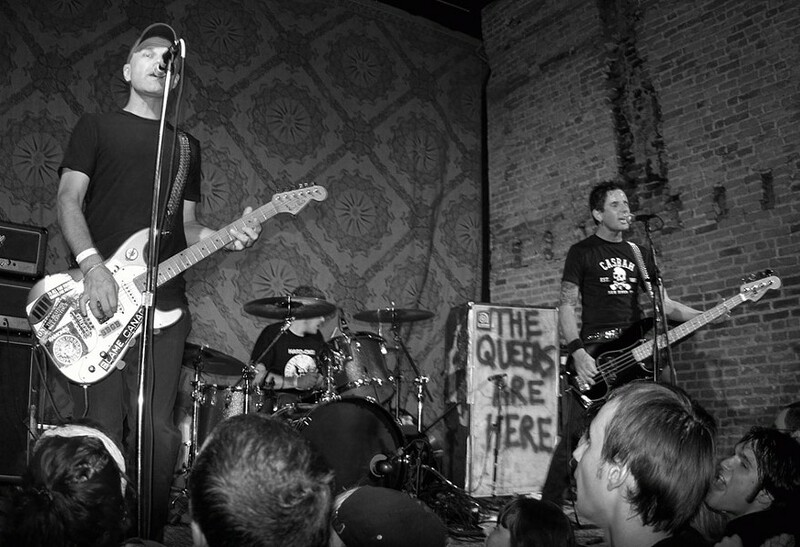 Despite several break-ups over the years, The Queers have been playing Ramones-inspired punk rock since the early 1980's. And though the comparisons make perfect sense, the band adds its own harmony and pop polish twists. With close to 40 members having gone in and out of its ranks, guitarist/lead vocalist Joe Queer is the one constant in the band. Bill mates the Anderson Stingrays — purveyors of the mighty three-chord punk rock, Queers disciples, and one of my favorite new Rochester bands — add mucho buzz-saw chaos. The Stingrays' debut "Rock 'n' Roll Party in Space" was produced by Joe Queer. The band recently contributed a tune to the Screeching Weasel tribute "Screech Like a Weasel" and has recently released its "Goon Squad" EP. Teenage Bottlerocket and Masked Intruder also add to loud fun. The show takes place Tuesday, March 5, 9 p.m. at the Bug Jar, 219 Monroe Ave. $12-$15. 454-2966, bugjar.com.